Eight spots that satisfy Chicago families’ cultural cravings outside city limits. Worldwide icon-chevron-right North America icon-chevron-right United States icon-chevron-right Illinois icon-chevron-right Chicago icon-chevron-right Eight spots that satisfy Chicago families’ cultural cravings outside city limits. Ever hear of Ravinia? There’s more where that came from. 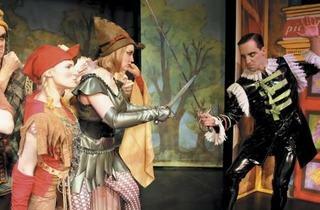 Piccolo Theater, Evanston, presents Robin Hood-The Panto. L-R Nicole Keating, Berner Taylor &amp; Ben Muller. 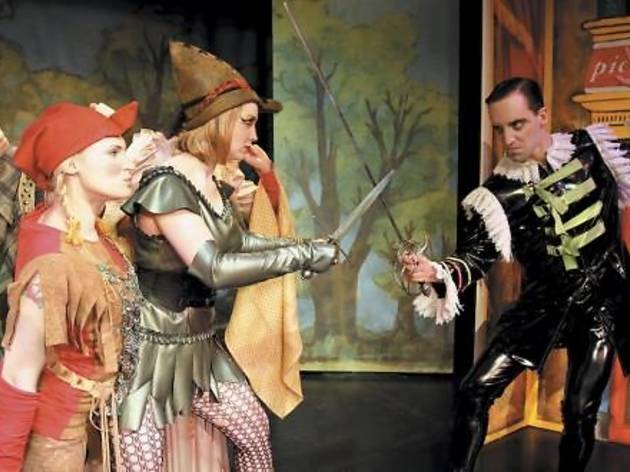 If you’re playing six degrees of Charlton Heston, odds are you won’t have trouble making a connection by pinpointing Big Noise Theatre Company, the Winnetka mainstay that once played home to the late, great actor. The Winnetka Drama Guild counted him among its casts back in the 1940s, before branching out to form a troupe known as Big Noise Theatre Company. 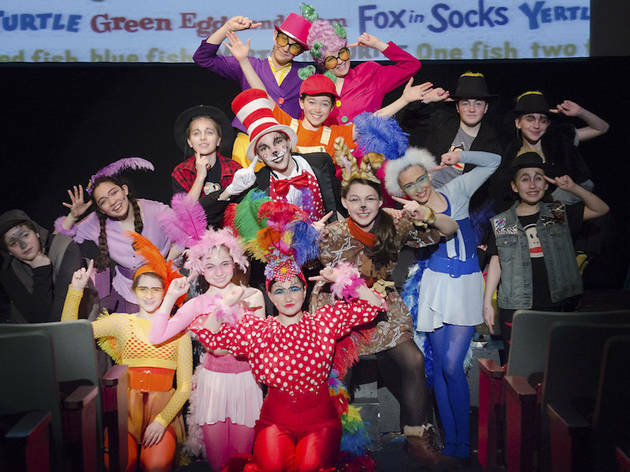 Coinciding with its annual three-play season for adults, the company dedicates a portion of the year to its “Especially for Kids” series with shows such as Little Red and Her Friends at Winnetka Community House. 515 E Thacker St, Des Plaines (847-604-0275, bignoise.org). Individual show tickets are $12. Dispelling the idea that suburban arts venues are small compared to their city counterparts, the $22 million Metropolis Performing Arts Centre could give the Goodman a run for its money. With a roughly 350-seat house capacity, four classrooms and 13 music studios, Metropolis offers all manner of arts performances, from pop and jazz concerts to dance and musical theater. The BoDeans, Robert Cray and Koko Taylor have all performed here, and Metropolis is the suburban home of the Second City. 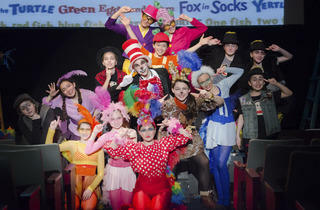 A family series includes stage plays and musicals by Chicago Kids Company, Griffin Theatre and an in-house company. 111 W Campbell St, Arlington Heights (847-577-5982, metropolisarts.com). Tickets start at $12 for students. The 50-seat Piccolo Theatre exudes retro style and historic roots, as it sits along an actual Metra rail station, which encourages prompt start times. A droll brand of comedy separates the Piccolo from the off-the-cuff variety of Second City with shows like its most recent, family-friendly Space Wars: The Panto. A new all-ages show, Bah, Humbug!, hits the stage for the holidays. Piccolo also offers summer camps for kids ages 10 and up. 600 Main St, Evanston (847-424-0089, piccolotheatre.com). Individual tickets are $10–$25. Originally a ground-floor endeavor, DuPage Children’s Museum’s current three-floor building won a 2010 Best Chicago Museum award from Nickelodeon, beating out the Chicago Children’s Museum, Museum of Science and Industry, Field Museum and Shedd Aquarium. Roughly 25,000 square feet of exhibit space is divided into eight interactive learning “neighborhoods” focusing on subjects like arts, science and math. 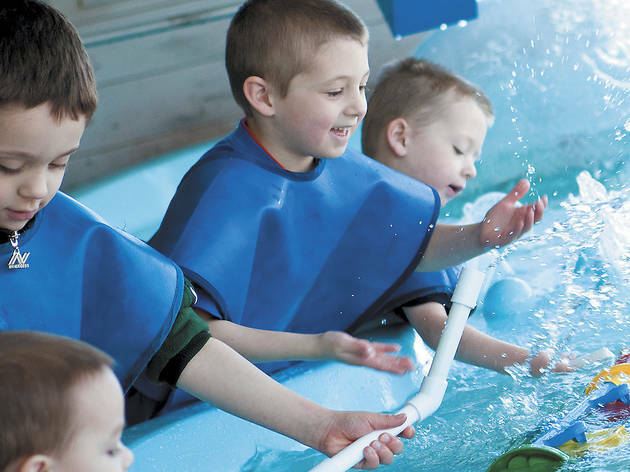 Founded by two early-childhood educators from Hinsdale in 1987, the museum features eight “learning neighborhods” that encourage hands-on experiences, such as Water Ways, where toddlers can experiment with pouring water into different containers, and a Math Connections center where visitors use everyday objects to play out math problems. The museum’s Third Thursday program sets aside time for families of children who have autism-spectrum disorders, visual impairments and mobility impairments to explore, as well as learn about parent and community resources available to them. 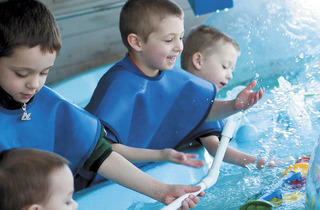 301 N Washington St, Naperville (630-637-8000, dupagechildrensmuseum.org). $9.50, seniors $8.50. Partly designed and built by German architect Ludwig Mies van der Rohe, the Elmhurst Art Museum is one of the best places anywhere to see the works of emerging and established Illinois artists. National exhibitions make their way here, too: Past exhibits have included portraiture and other art from the Smithsonian Institution that made its only Midwest stop in Elmhurst. Family programs such as Second Saturdays allow kids and parents to hone their skills with professional artists and designers, free of charge. 150 S Cottage Hill Ave, Elmhurst (630-834-0202, elmhurstartmuseum.org). $5, students and seniors $3, kids under 5 free. Free admission on Fridays. One of the best and most underrated musical ensembles this side of Lake Shore Drive, the 75-member Illinois Philharmonic Orchestra lays claim to being the largest performing arts organization in the South Suburbs, drawing patrons and audience members from all over the Midwest for events like its upcoming August concert series, Summer Music at Ravisloe, held at Ravisloe Country Club in Homewood (tickets are $25). The organization also offers three programs that provide music education to nearby schools. 377 Artists Walk, Park Forest (708-481-7774, ipomusic.org). 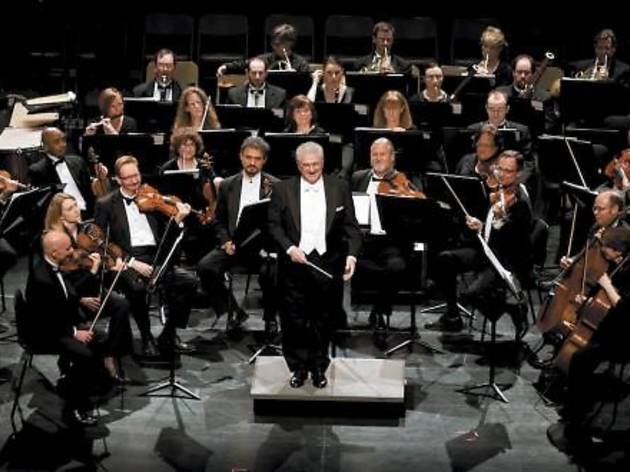 More than 300 students ranging from fourth grade through college age come from all over Chicagoland to join Elgin Youth Symphony Orchestra’s in-residence ensemble at Elgin Community College. The group has been featured on NPR’s “From the Top” series, celebrating America’s best young musicians; performed alongside the likes of Yo Yo Ma and the Silk Road Ensemble at the Chicago Symphony Center; played at the Aberdeen International Youth Festival in Scotland and collaborated with Metropolitan Opera singer Kitt Foss. 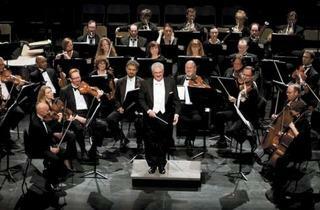 The 2012/13 concert season begins in November. 1700 Spartan Dr, Elgin (847-622-0300, eyso.org). Tickets are $14–23.